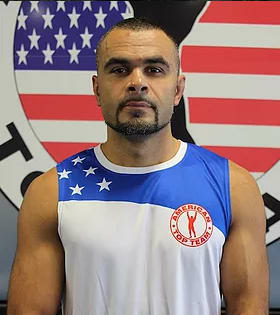 Born in Bosnia, Amir has been actively training and studying various forms of Martial Arts since the age of 6. After moving to the US, he began competing successfully in Muay Thai, MMA, and Brazilian Jiu Jitsu. Amir now heads the Muay Thai Class at American Top Team of Gwinnett and continues to compete in the MMA Welterweight Division.